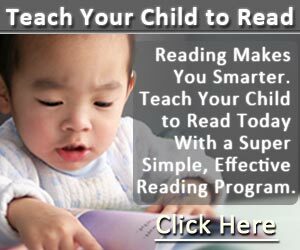 When you want to help your child learn how to read, reading to him is one of the first steps. When a child is read to, they not only desire to learn how to read for themselves, they do better overall at reading. There are many books that you can buy to read aloud to your toddler that will help him with his reading fluency. 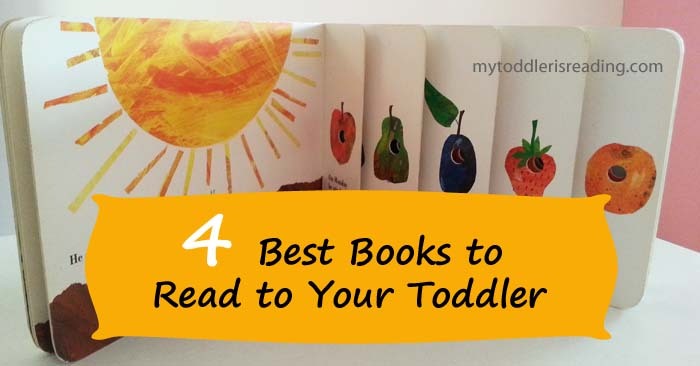 Let me share with you 4 best books to read to your toddler. These top books for toddlers will ensure that both you and your child will have a great time reading together. The Very Hungry Caterpillar: miniature edition is an excellent choice for reading aloud to a toddler. The book is about a hungry caterpillar and what he eats as he goes on his merry way. When the caterpillar is full, he creates a cocoon and later comes out as a butterfly. This book is good for teaching your little one to read because it has easy to read sentences with bright drawings, and it’s interactive so it holds a child’s attention. The book is 32 pages and written by beloved children’s author, Eric Carle. Among Kaden’s books, I still feel this is one of the most beautiful children books he has. Counting Kisses: A Kiss & Read Book is an adorable 32 page storyboard book that your toddler will love for you to read to her. It’s a counting book using easy words in simple sentences that your child will be able to identify. The book by author Karen Katz begins with a crying baby and the kisses are a way to try and soothe the baby to sleep. As the kisses begin at number 10 and go down, the baby is lulled to sleep. The book is a sweet book that will become a toddler’s favorite. Green Eggs and Ham is a 65 page hardcover book that every toddler should have read to her. This classic by Dr. Seuss has attention-grabbing characters. Because it uses easy, rhyming words to tell the story, it’s easier for your child to learn to read. Not only that, though the book is 65 pages long, there are only 50 unique words. How interesting! The rest of the words are repetitive which helps a child learn to read. The story is about Sam-I-Am as he tries to get the other character to try green eggs and ham. In the end, his persistence pays off and the other character declares his delight with the food. Library Book: Are You My Mother? Are You My Mother? by P.D. Eastman is a 72 page easy to read book for toddlers. It alternates short and long sentences using words that are easy for a toddler to sound out. The book is the story of a baby bird that, after leaving his nest, goes in search of his mother. Along the way, he asks animals and objects alike if they’re his mother. The story as well as the illustrations make it easy for your child to stay interested. One of the reasons that this is a great book to help your toddler learn to read with, is because the format of the book keeps a limited amount of words on each page. So it’s easier for your child to learn the words. What are the books your toddler loves for you to read to him or her? Share your child’s best books with me!